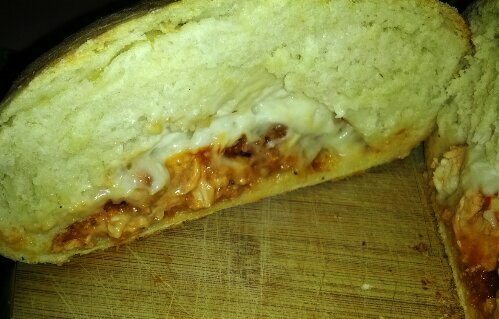 So we ate the chicken parmesan stuffed bread and I am happy with the results! 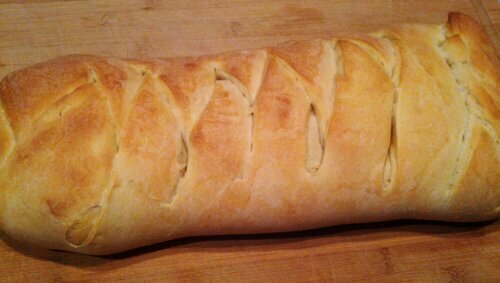 The crust was crisp and the dough was soft. The chicken parm and parmesan sauce melded together great! It tasted like a Chicken Parm Grinder! (For anyone who is not from the Northeast, a grinder is a toasted sub.) My stepson said I could give our local Italian restaurant a run for their money. Maybe that’s not THAT great of a compliment considering we live in Florida and Florida is not known for having very good Italian food, but I’ll take the compliment anyway!